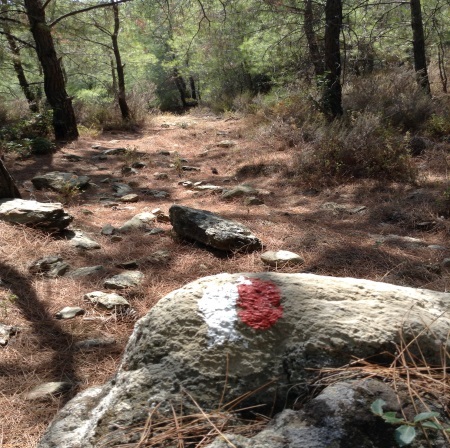 Here we have put together the highlights of the Eastern section of the route into one week’s hiking The Lycian Way. 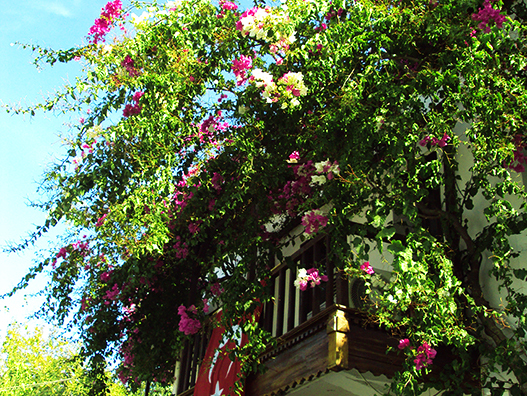 Enjoy the pretty mountain villages and coastal towns including Adrasan, Cirali, Ulupinar, Tekirova & Beycik. Discover the ancient ruins at Olympos, the natural wonder of Chimaera flames. Climb to the pass of the highest peak in the region, Mount Tahtali. There is also an optional boat trip on the rest day to explore the beautiful turquoise seas and surrounding islands. 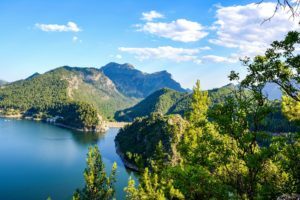 Description: One weeks holiday hiking the Lycian Way the on the eastern section of the route providing an opportunity to experience more remote sections of the route with fantastic daily views, ancient ruins, pretty beaches & traditional Turkish hospitality. Walking Difficulty: Moderate to challenging. There are a couple of long sections which inexperienced walkers will find challenging. Price: £475 / €525 B&B or £545 / €595 Dinner, B&B per person based on two people sharing a double or twin ensuite room.Single Supplement is £25 / €30 per night. Includes: 7 night’s accommodation at our recommended Guesthouses and Hotels, your food, breakfasts and optional dinners. The official guidebook, our recommendation list and detailed itinerary, all people and daily luggage transfers. Optional: Boat trip on day 5: £45 / €50 per person includes lunch. Airport Details: “Antalya” Airport is your destination, we provide 24-hour transfers from the airport to your first night accommodation, included in the price. Approx transfer time is 1 hour. 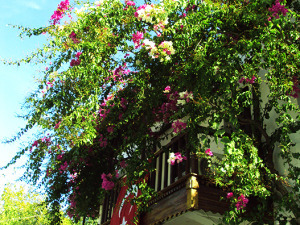 Accom Type: Our personal selection of traditional Guesthouses and small hotels. All rooms come with private/en-suite bathroom facilities. Notes: We have plenty of flexibility within our itineraries for guests who wish to do more or less hiking on the Lycian Way. Get in touch with us, we are here to help. Walk from here to the lighthouse and beyond returning to Adrasan. The walking is mainly through sparse pine forest steady climbs to the lighthouse and beyond with fine coastal views of the islands close to shore. 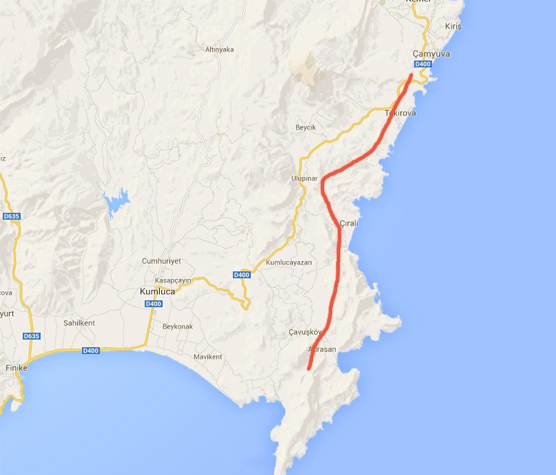 Luggage transfers to Cirali. Today’s walking takes you over “Moses” Mountain (980mtrs), through very pretty, lightly wooded pine forest with magnificent views near the summit of surrounding mountains and valleys then descending through ancient woodland to the historic ancient ruins at Olympos and onto Cirali. 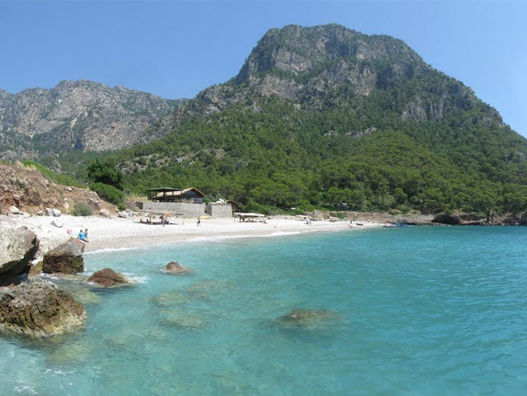 Chance to relax on the lovely beach at Cirali, explore Olympos or take an optional gullet (wooden boat) trip to nearby islands. takes you over the pass of Mount Tahtali with magnificent views then returns the way you came back to Yukari Beycik. There is an option to climb the mountain as we can arrange a local guide – we do not recommend attempting to climb the mountain without one. This long coastal route is much flatter and therefore easier walking than previous days with fine views of beaches ad deserted coves. Private transfer to Antalya Airport. Return home.